Didn’t think they would go green? Throughout the nineties the world got a little bit greener each and every month, but this slowed down so much when the recession took hold in 2008 that it’s just not big news anymore. Many companies are still making an effort to go green when possible, but the public aren’t prepared to give them much more flexibility right now. They’ve got other things to worry about – which is why it’s so heart-warming to see companies still getting greener. Especially when they operate in industries where it’s not always easy to assist with saving the planet. Going green can save a company money, so there’s an extra incentive, if you need one. There are some simple options that can help a company in almost any industry do their bit, as well as driving down costs in the long run. One growing trend from the nineties that never died is recycling. While there was still money available many local councils, as well as the government who operated a number of incentive schemes for businesses, made it more possible than ever before to recycle waste. 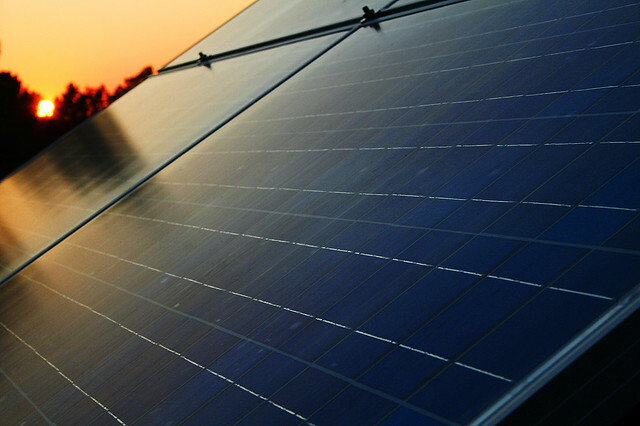 Alternative energy is another simple way to make your company a little greener. Providers such as Dulas offer commercial solar power solutions which make a real difference to the environment over several years. Businesses can save enough in electricity over the course of as little as six years that the panels can pay for themselves. With this kind of ROI, manufacturing companies in the most industrial areas can make at least a small step towards going green, even in the current economic climate. « Cyber Monday: Last Chance For Deals Your Website Will Love You For!